So, after a long holiday weekend, I’m back to the grind. However, it’s a Tuesday that feels like a Monday, it’s raining and I’d still rather be off. Got to go to Wegman’s yesterday and I saw that the price of truffles was up to $999.99/pound. I commented to SPW that even with that price, it’s still hard out there for a pig. We picked up another piece of Copper River salmon which I roasted on a wood plank. It turned out very good. I added a spice mixture called “Mural of Flavor” which I had received as a gift. It’s a nice blend for fish… gives it a nice bit of flavor without drowning out the taste of the fish. Special thanks to Lori and Matt for providing the spice… and the best part is that it’s salt-free! See? That’s not good workmanship! So, after a weekend of living in the Beasts, I’m thinking that I now worship at the altar of Brooks. My feet feel so supported and comfortable that I don’t even really notice the extra space at the toe of the right shoe. I plan on consulting with my foot doctor to see if there’s anything that can be put in there as a spacer, just in case. Apparently, SPW is digging her new sneakers as well. 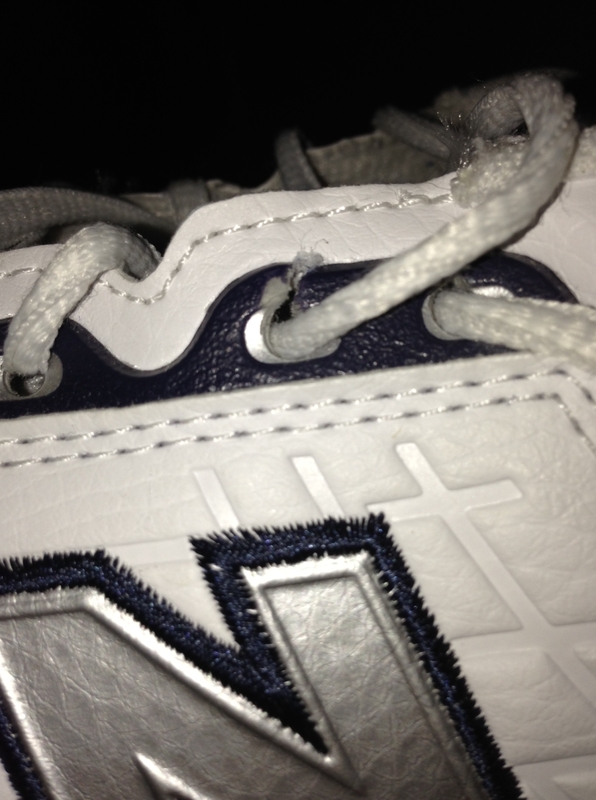 I did send my New Balance trainers back to the company, though… there’s a plastic lace guard on the 856 that broke after only two months of wear and the lace is digging into the leather. I emailed the company and they said they would send me another pair. It will be nice to have the trainers available for sessions in the gym and leave the runners for the roadwork. 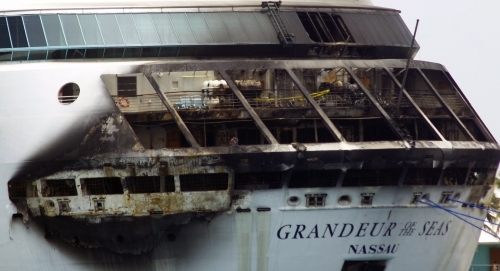 In sad news, though, Royal Caribbean’s Grandeur of the Seas suffered a fire over the weekend that resulted in the passengers being flown back to Baltimore. It was a really nice ship and we had a great time aboard her. It was sad seeing that pristine white hull with fire damage. Hopefully she will be repaired and back in service before too long. The good news is that there were no injuries reported and the ship retained full power and was able to make port in the Bahamas without too much inconvenience. That about does it for today. Hope that you all had a safe and happy Memorial Day.